This recipe is ideal for a hearty weeknight supper or game day spread. The melted cheese with crispy potato skins and crab make for a terrific spin on the usual stuffed potato skins. Lightly coat the potatoes with cooking oil. Place the potatoes on a baking sheet and bake until tender, about 45 minutes. Remove the potatoes from the oven and let cool until you can handle them. Place the potato skins back on the baking sheet. 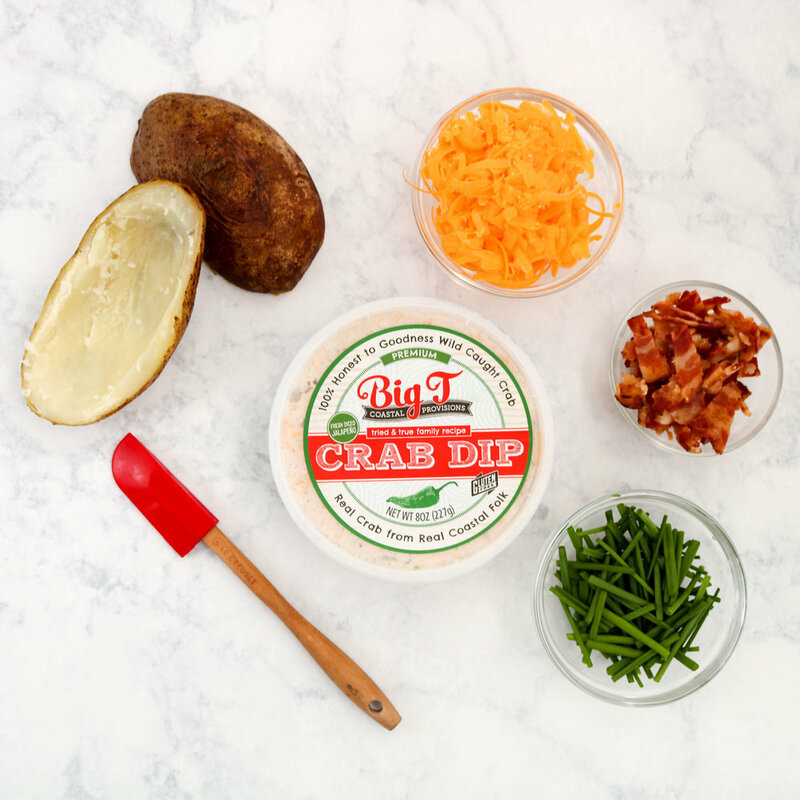 Place the crab dip in a bowl along with the chopped bacon and half the cheese. Stir to combine. Divide the mixture among the potato skins. Top each potato skin with the remaining grated cheese. Return the stuffed potato skins to the oven and cook until the cheese Is melted and they are beginning to brown, about 10 minutes. Garnish with the minced chives before serving.